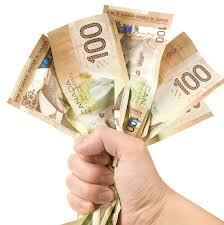 Payday lenders Ontario must clean their acts of lending! The new rules may even capture some charitable activities that offer small loans to new Canadians to begin home-based, small businesses, or that gives micro-financing to people in small business in the developing countries. Bruce Barker of Bennett Jones LLP and Lawyers Derek Bell writes in a note to their clients that, “Most of the lawyers are sure that the government of Ontario did not set out to create the Payday Loans Act that applies to every type of credit financing. “It is extremely unlikely that Ministry of consumer services intended for its planned amendments to hold such a wide range of activities, yet that may include the import of the amendments if they are not changed fundamentally”. It is indeed possible that the government might alter the proposed amendments. The ministry acknowledged open comments on the payday amendments until Sept. 30, but a representative with the ministry says that even the comments received after that date can be considered. In the meantime, the situation offers a bigger message for the entrepreneurs in all provinces or territories. Be careful about the way one introduces any kind of pre-sales or credit program. These activities constantly subject to a raft of territorial and provincial regulations. The experience of Ontario demonstrates that what you consider a normal, innocuous sales activity might be something that is governed under some serious regulation. Thus payday lenders not only in Ontario but other provinces as well will have to clean their act and choose a way that is cleaner and not captured under the new amendments to keep going in their business. Working in payday industry can be fun as the profit involved is big but at the same time if you are not paying clean then the penalties that you might have to incur can be even big enough to use your entire year’s profit. It is therefore advised for payday lenders to make sure that their borrowers know everything about the payday loan that they are taking so that they can keep themselves out of such mess and facing the consequences of the new regulations passes by the government. The acts governing pay day industry are getting tighter and thus giving more protection to consumers using payday loans services.